Whatever time of year you want to travel we have some great options for you. However, it helps to know the best times to travel for each destination so this is designed as a rough guide to help you. 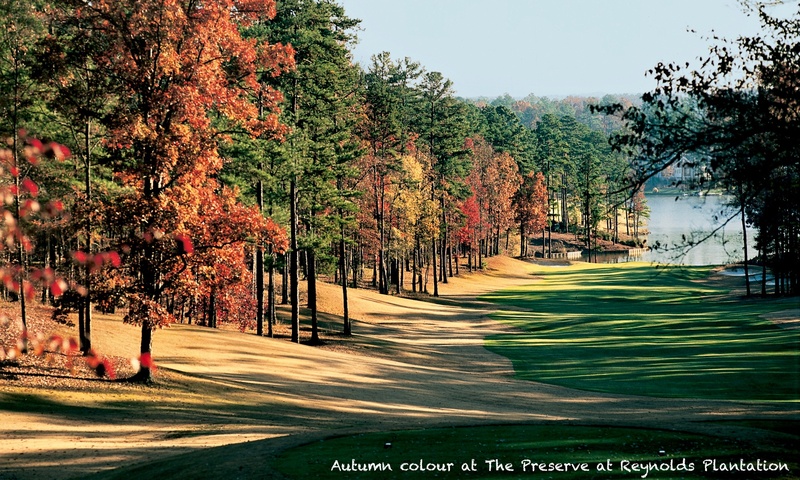 For the Carolinas and Georgia the best golfing weather can be found from March through June and October through mid December. The hottest periods are July and August where the temperature is fixed firmly in the 90°s and humidity is high. The further south you go the hotter and more humid it gets. Unlike the UK the temperature tends to build up during the day and peak temperatures can persist right through the evening. Summer is low season for golf because of the heat and humidity so green fees are at their lowest and the courses are at their quietest. However accommodation may be expensive along the Carolina coast as they are also summer beach destinations. 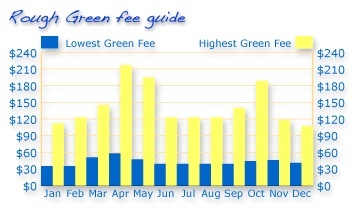 Winter, from mid November through February are cheapest for both golf and accommodation in the Carolinas. In the winter the temperature can fluctuate radically between 40° and 70°. 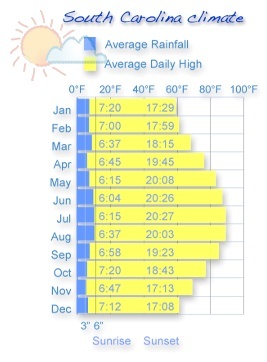 However, in late December and early January an average day would normally be 40° early, rising to around 60° by midday. In summary, for warm weather and great golf go for May & June, it is cheaper than April and the courses are not quite as busy. September and October are also popular. Beware, September can still be hot and steamy. For the best winter sun you can’t beat November and December, weather can be more unpredictable in January and February. In Florida, winter is considered high season because it is hotter the rest of the year. Typically Florida tends to be around 10°F warmer than the Carolinas so May to September is probably going to be too warm for most Brits. This is of course why Florida golf is more expensive in the winter. Away from the summer heat, best value would probably be April, May, September & October. In Arizona it is a very dry heat so there is no problem with humidity, however, heat can be more extreme in the summer. Temperatures in the 100’s F from June onwards are common for instance. Peak season in Scottsdale is January through March when there are a lot of events going on in the area making hotel rooms in demand and expensive. September and October would be popular for golf if it wasn’t for the convoluted overseeding schedules that the courses undertake in this part of the world. All courses close for 2 weeks for overseeding. A week prior to this they scalp the fairways and stop watering so that the new seed can take. This means the courses can be dustbowls. After closing for 2 weeks, the courses then re-open but it is cart paths only for at least two to three weeks and they water heavily to encourage the new growth. The resultant conditions can best be described as wet and woolly. So… in summary, best times to travel to Scottsdale are April, May & June (golf get’s cheaper with each succesive month) although it can get really hot in June, it is a dry heat. 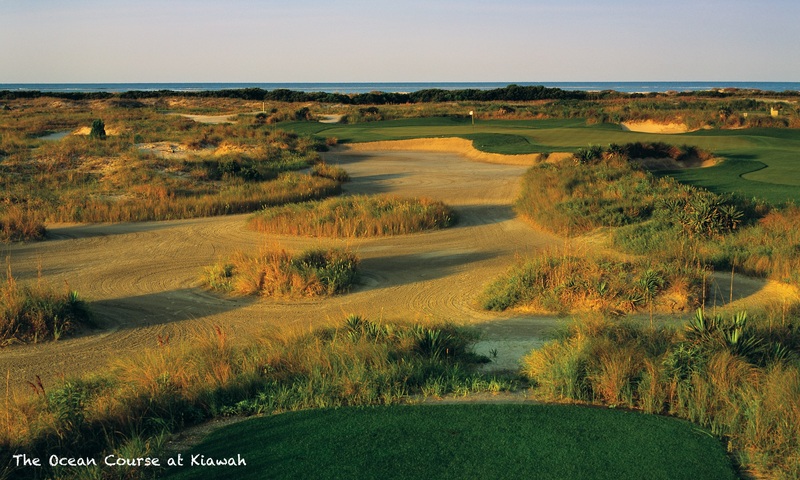 Then, from mid to late November through December when you get warm temperatures, good course conditions and the rates are not too high.